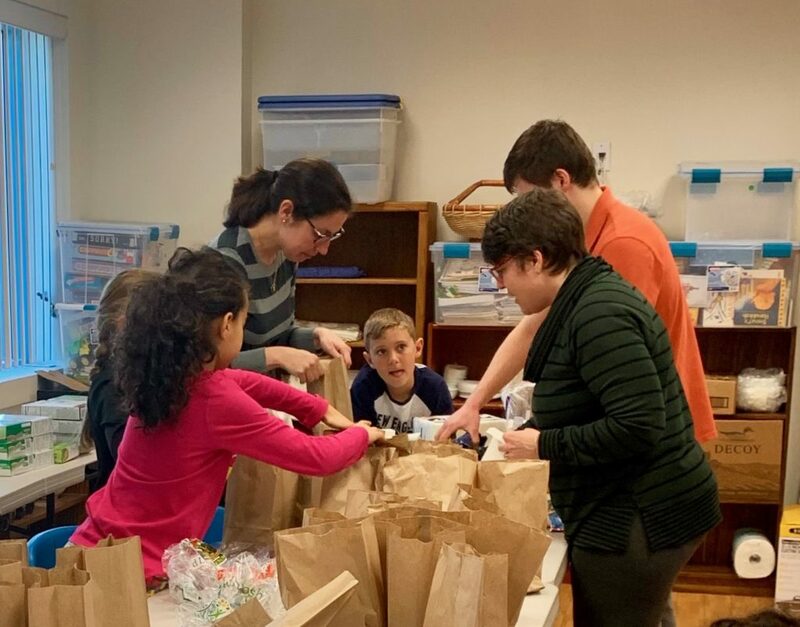 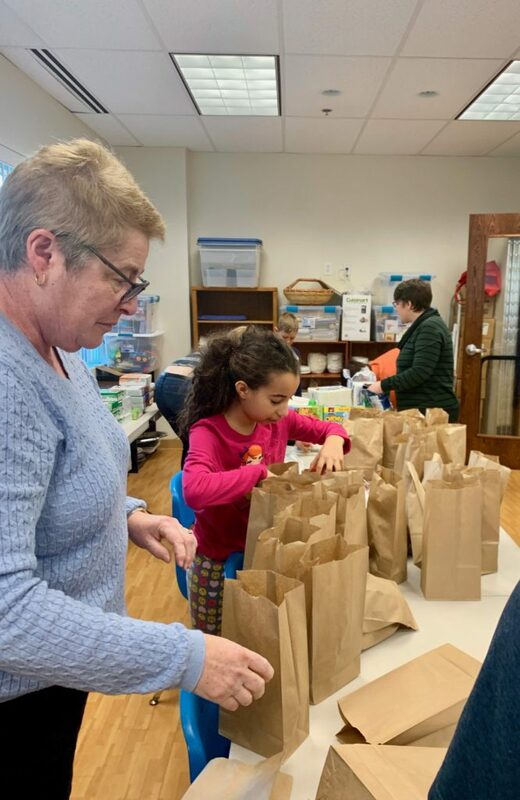 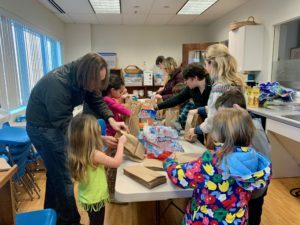 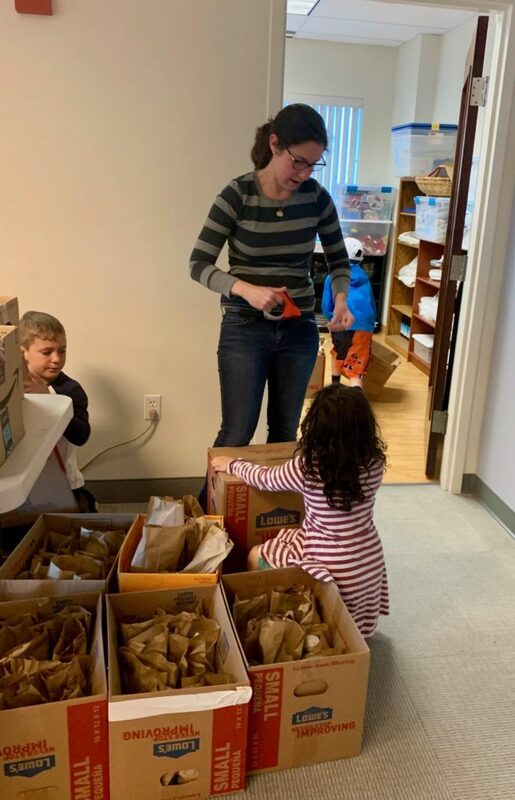 Today our community made 238 lunches for the Lowell Transitional Living Center, which provides shelter, showers, laundry, and food to assist people in the journey from homelessness to housing. 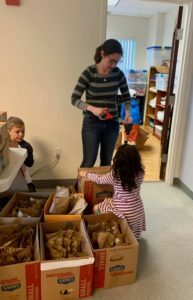 Nine-year-old Caitlin, one of our Religious School students who took part, observed, “You think about all the people you are helping. It feels so good.” Read on to see some photos. 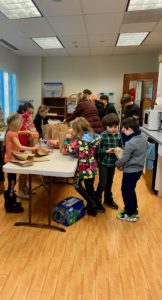 Thank you all who contributed food or other items and time to make this so successful.